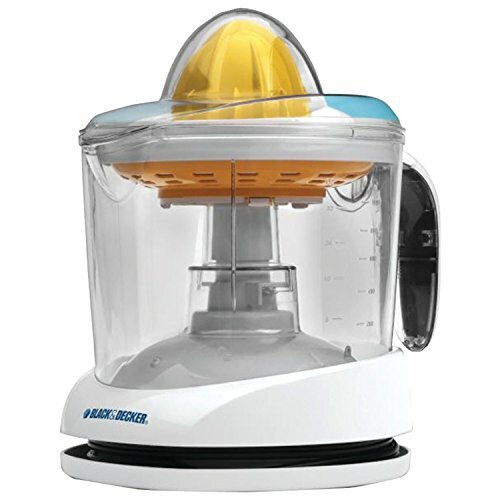 Enjoy freshly squeezed juice at home anytime with the Black and Decker 34-Ounce Citrus Juicer (model CJ625). 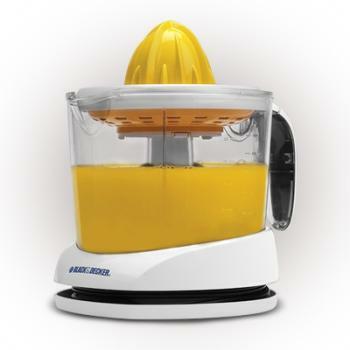 The juicer’s uniquely designed reamer squeezes every last drop of juice out by spinning clockwise then, upon lifting, counter-clockwise. The adjustable controls allow for customized amounts of pulp and built-in cord storage keeps the cord neat and out of the way. All parts are dishwasher-safe for fast and easy cleanup. The motor stops working automatically when you remove the fruit from the cone. Easy-to-read measurements on the juicing container make it simple to keep track of how much is squeezed and how much you need yet. Great for using the juice for baking or drinks.